Zazzle is one of Dharma’s puppies staying here to continue the legacy. Zazzle is a very sweet girl but she is a busy bee. She reminds me of her grandfather Pippin. As Zazzle has grown she shows more and more how much she is like grandpa Pippin, Zazzle earned multiple group placements in AKC and UKC and even a Best in Multi Breed Show (UKC Best in Show). 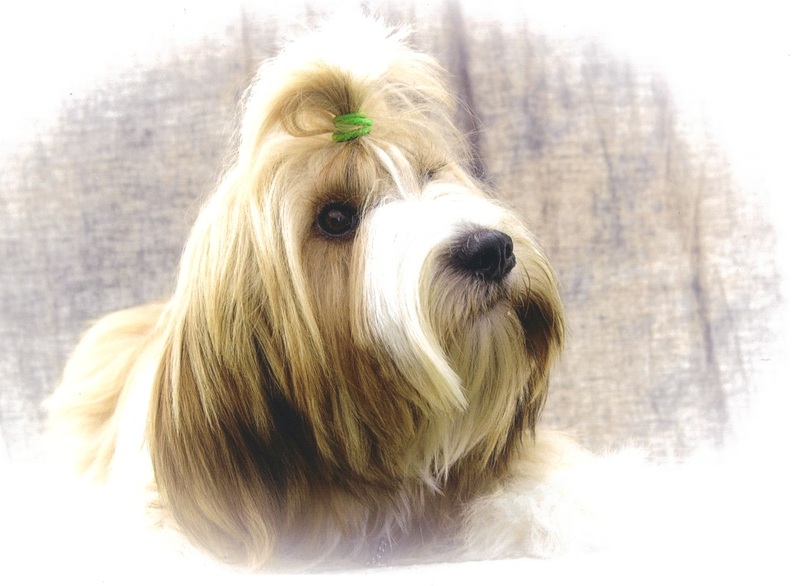 Zazzle finished in the top dogs of 2014 earning a chance to compete in the top 20 competition at the Tibetan Terrier National in 2015. Zazzle is taking a break from conformation to not only start participating in performance sports but to become a mother. Zazzle currently is working on obedience and Rally with Martha Schwartzmann.